Dubai-based Binghatti Beverages, the beverage manufacturing arm of Binghatti Holding, has launched Fruitastic, a lower-sugar and preservative-free juice made from natural fruits. After the success of the well-established Raubi of London and Milkster brands, Binghatti Beverages launched Fruitastic out of demand for healthier juice options in the Middle East, said a company statement. The innovative product line will be available in numerous locations across in the country starting in mid-April. Retail availability will continue to grow with seasonal resets achieving more than 4,000 points of distribution in the region by August, it said. The brand’s different flavours include mango, apricot, cocktail, guava, mixed apple, mixed berries, orange, pineapple, pomegranate, red grape. With only one single gram of natural sugar and no artificial sweeteners, Fruitastic is positioned to be the new benchmark of health in the aseptic juice category in the region, it added. The fast-growing company invested more than Dh500 million ($136.12 million) in its Kizad based production facility with a plot spanning over more than 1 million sq ft. Equipped with state-of-the-art Tetra Pak filling and packaging lines, this facility produces several products, such as Raubi of London and Milkster, which are sold at many retail stores in addition to different cooperatives. The company also exports its products to several markets in the Middle East and Africa (MEA) and is supported by its own FMCG distribution firms located in the UAE, Lebanon, Jordan, Iraq, and the UK. 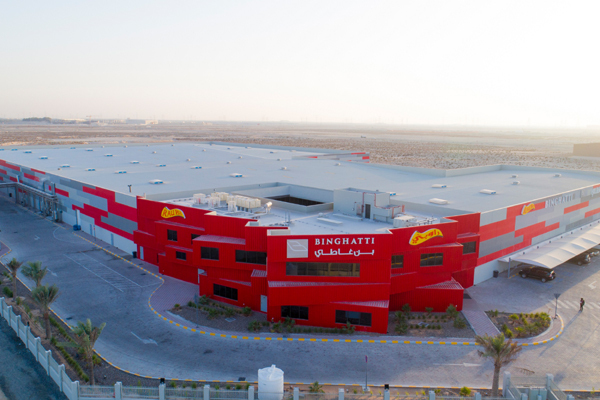 Binghatti Beverages has begun implementing its aggressive growth strategy with intentions to enter new markets in the GCC and Africa before expanding into the massive markets of India, Pakistan, China, and Southeast Asia. The company plans on using the UAE’s diverse cosmopolitan community as a baseline for predicting trends in the FMCG industry over the next five to ten coming years. “Over the last year, our sales have grown exponentially, and we see our new products as a natural extension of our company” BinGhatti added.